Anyway, I’ve been clogging for almost 30 years. I’ve been to a lot of clogging events, competitions, and performances and have since then worked with lots of dance studios to get them cool clogging shoes and good prices. What do you call clogging shoes? We look forward to comments and feedback from our fellow cloggers all over the world. When you comment, make sure you tell us where you’re from so we get a better idea if the name people call their shoes is different based on area. We want to help you sell your used clogging shoes or find a pair of good quality shoes for clogging at an affordable price. 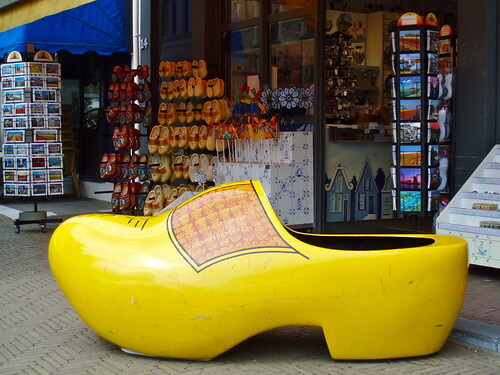 We’ve had so many requests lately to buy and sell used clogging shoes. We know how you feel – having old shoes laying around the house taking up space isn’t something we like either. 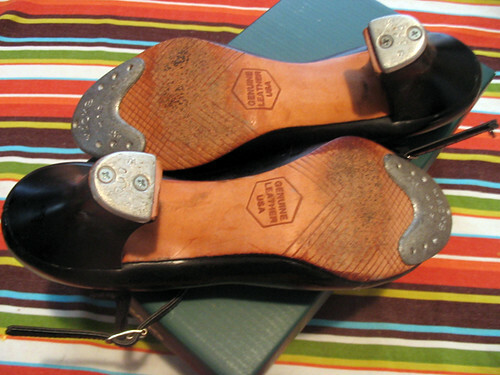 You can now list & sell your used clogging shoes on ClogOn.com. We’ll even help promote them to our database of over 4,000 AVID CLOGGERS via email, Facebook, and other social networks! Want us to get the word out even more on Youtube (the 2nd Biggest Search Engine next to Google)? For only $10 we’ll create a 15 second promotional video aimed at helping you sell your used dance shoes. Before listing the shoes on our site, we will do our best to make sure you get what you pay for. The more images the lister provides, the better. Seller of shoes will determine at what price range they want to sell their shoes. Once shoes are sold, ClogOn.com will process the order via our secure online merchant account (or via phone). Seller will then have 2-3 business days to send us tracking information for the shipment of the shoes to the buyer. Shoes must be shipped via UPS or the best shipping option in your area. Shipping fees can be calculated into the selling price – this will be seller’s choice. Each listing will cost $0.50 per pair. If shoes sale, ClogOn.com will deduct 10% of total sale price to cover online processing fees. ClogOn.com will then send received transaction via Paypal once order has been received by buyer. All buyer and seller information will be kept confidential between parties. 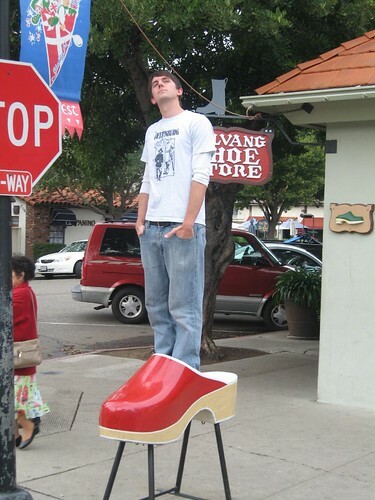 Sell Your Used Clogging Shoes Today! 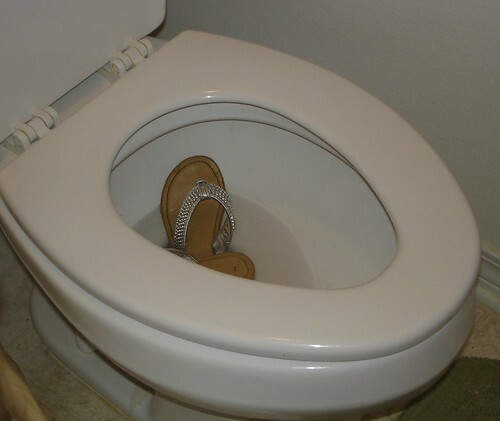 Sell Your Used Clogging Shoes! This is how you login to your Paypal Account. We only need this in order to send you $$ if and when your shoes sell. Listing fee of only $0.50 per pair. This information will be passed on to the potential buyer so please make sure you're honest. WHY you're selling them can often help them sell as well. If you have questions about this, please contact us before finalizing your listing. Please provide at least two good pictures of the clogging shoes. This price range is a PER SHOE price and will help us determine at what price to list the shoes. We reserve the right to make price changes within the range in order to help you sell your used shoes. This is YOUR information so we know where the shoes will be shipping from. The use of services provided by ClogOn.com constitutes agreement to these terms. BY ACTIVATING OR USING THE SERVICE, YOU REPRESENT THAT YOU ARE OF LEGAL AGE TO ENTER INTO THIS AGREEMENT AND THAT YOU HAVE READ AND UNDERSTAND FULLY THE TERMS AND CONDITIONS OF THIS AGREEMENT. Shipping Customer agrees to ship products to buyer within 2 business days of transaction notification from ClogOn.com. Customer will ship via UPS or the best shipping provider. Pricing for shipping will be based on UPS rates. Customer understands that if shipping rates end up being more than customer has stated they are willing to pay in the "Selling Your Used Clogging Shoes" application form, they must cover the difference in cost. No refunds will be honored by ClogOn.com for shipping errors or miscalculations. Customer will be required to provide tracking information once shoes have been shipped to buyer. Customer understands that there will be a non-refundable $0.50 listing fee per pair of shoes listed on ClogOn.com. This fee will keep the shoes on ClogOn.com for a period of 90 days or until shoes are sold. If customer wants to re-list the shoes again for another 60 days, there will be no additional listing fee. ClogOn.com will process orders via our online merchant account. A 10% revenue share will be subtracted from the overall payment. This fee will cover the online processing fees that ClogOn.com will incur due to the sale of the shoes. ClogOn.com will send customer a Paypal payment OR give the customer in store credit towards the purchase of additional items from ClogOn.com or its subsidiaries. Payment or credit will be made within 5 business days from finalization of online transaction and upon reception of shipping tracking information. By using any ClogOn.com service, you agree to submit to binding arbitration. If any disputes or claims arise against ClogOn.com or its subsidiaries, its agents, its employees, its officers, or its owners, such disputes will be handled by an arbitrator of ClogOn.com's choosing. An arbitrator from the American Arbitration Association or the National Arbitration Forum will be selected in the state of Utah. Arbitrators shall be attorneys or retired judges and shall be selected pursuant to the applicable rules. All decisions rendered by the arbitrator will be binding and final. The arbitrator's award is final and binding on all parties. The Federal Arbitration Act, and not any state arbitration law, governs all arbitration under this Arbitration Clause. ClogOn.com shall not be responsible for any damages you or your business may suffer. ClogOn.com makes no warranties of any kind, expressed or implied for services we provide. ClogOn.com disclaims any warranty or merchantability or fitness for a particular purpose. Are you looking for quality clogging shoes? Do you wonder what style is best for your clogging foot? 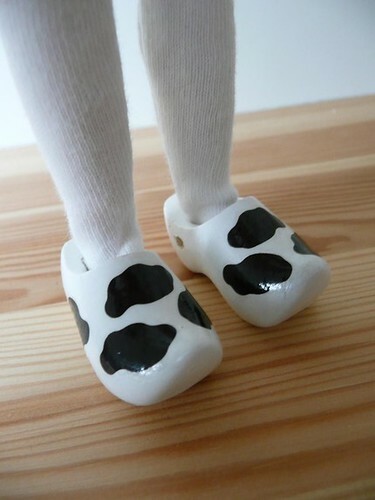 What are Clogging Shoes Really? Despite the similarities and new versions of “Power Tap” that are a clogging/tap combo, clogging shoes and tap shoes are different. The main difference is that clogging shoes have two steel taps on the toe and heel; tap shoes generally have one on the toe and heel. Why do you love clogging? One of the reasons I love clogging is because you can clog to a wide variety of types of music and you don’t necessarily need clogging shoes to make it work. This is a great example of how clogging can be done anywhere to any music. I do recommend getting clogging shoes, even clog dancing shoes that are used, if you really want to get the most out of your clogging experience. Not only will this help you “hear” what you’re doing, but it will give you a better feel for the steps.